A man's been told he'll spend at least 18 years behind bars for murdering his girlfriend's son in Bournemouth. Vladislav Pomozov, 45 and from Bournemouth, (above) was found guilty at Winchester Crown Court on Friday 17 June, following an 10-day trial. He was also convicted of GBH with intent, for injuring Andrejs' dad. He was sentenced at the same court today (Wednesday 6 July). Pomozov was sentenced to life imprisonment for murder and seven years for GBH with intent to run concurrently. He was told he would have to serve a minimum of 18 years before being considered for parole. 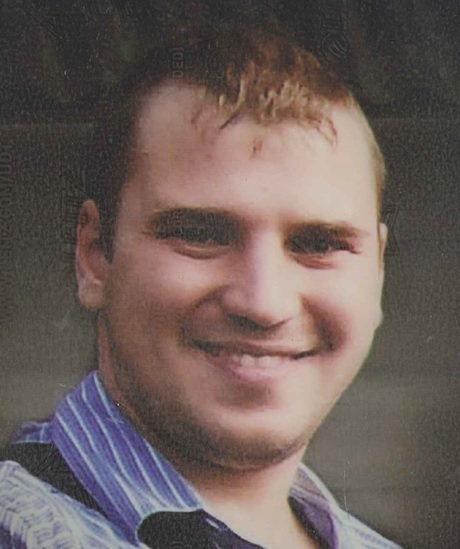 The court heard that 25-year-old Andrejs (below), who lived in Riga in Latvia, had come to Bournemouth on 27 December 2015 to spend New Year with his mother and father Jevgenijs Trofimivics. He attended a New Year's Eve party at his father's flat on Cleveland Road on Thursday 31 December, along with his father's partner, his mother, his mother's partner Pomozov and another family friend. The atmosphere for most of the evening was good-natured, and the group, who are all originally from Latvia, also contacted their family back home over the internet to wish them a happy New Year, the court heard. The group had been drinking alcohol and took turns to smoke in the kitchen. On one of these occasions at around 2am Andrejs, Pomozov and Jevgenijs were smoking in the kitchen. There was a minor confrontation between Pomozov and Andrejs about Pomozov's gambling, which Andrejs was unhappy about. Following this dispute, Pomozov asked Jevgenijs if he could speak to his son alone, the court heard. When the pair were alone Pomozov stabbed Andrejs with a kitchen knife. Andrejs then walked through the kitchen doors and warned his father that Pomozov had a knife and that he had been stabbed. Pomozov then stabbed Jevgenijs. Sadly, Andrejs died despite the best efforts of paramedics and officers to save him. Jevgenijs was taken to hospital for treatment to non life-threatening injuries. Detective Sergeant Mark Jenkins, of Dorset Police's Major Crime Investigation Team, said: "This was a senseless and unprovoked crime resulting in the death of a young man in the prime of his life, visiting his family at New Year and the serious injury of his father in his own home. "I wish to pay tribute to Andrejs' family who have conducted themselves with calm dignity having found themselves in a truly horrific situation through no fault of their own while celebrating New Year 2016. They have been very supportive of the investigation and prosecution and trusted the criminal justice system in a foreign country to obtain the justice they deserve." In a short statement, the family of Andrejs Trofimovics, said: "We would like to thank Dorset Police for their thorough investigation, victim support and to everyone who has supported us through this difficult time. We will never forget our wonderful son, brother, grandson and friend and his actions on that night that saved his father's life."